New heavy-lift helicopters could give the U.S. military unprecedented rapid-deployment capability, but first the Pentagon must attack budgetary problems and inter-service rivalries. Army generals don’t always speak well about the Marine Corps. The two services have long enjoyed a healthy, and sometimes not-so-healthy, rivalry. The competition has intensified now that the Marines are returning to Iraq to replace Army units. So it was newsworthy when, three months ago, the Army’s Chief of Staff, Gen. Peter J. Schoomaker, went out of his way to praise the Marines’ procurement of the V-22 Osprey. Schoomaker, a former head of the Special Operations Command, was brought out of retirement last August by Defense Secretary Donald Rumsfeld to shake up an Army many observers think has become too bureaucratized and inflexible. It’s not that the Army intends to procure the V-22. Schoomaker clearly stated the service will not. “There is nobody right now that’s thinking about buying a V-22 for the Army,” he said. However, the capability that the Osprey brings to the battlefield–twice the speed, three times the payload, and six times the range of a conventional helicopter, with the ability to self-deploy–clearly does interest Schoomaker. Such capability could address the Army’s increasingly stringent heavy-lift requirements. “I want to see what’s beyond” the V-22, he said. “There’s a dimension beyond that. It’s like V-22 capability with a CH-47-size box or a C-130-size box… the advanced tactical transport” tilt-rotor. Schoomaker was referring to Bell Helicopter Textron’s proposed quad tilt-rotor, one of many ideas now being floated to address the Army’s need for more capable heavy-lift, intra-theater logistical supply aircraft. All of the services require enhanced heavy-lift capability. However, the requirement is most pressing for the Army and Marine Corps, the two services tasked with landing troops on the ground, typically in distant and austere environments with no nearby landing bases. Schoomaker, in fact, referred to the military’s experience in Afghanistan, where Marines and Special Operations Forces were inserted on the ground from ships 900 mi. offshore via helicopters, mostly CH-53E Super Stallions. The mission was successful, but it clearly strained the logistical capabilities of the U.S. military. Indeed, these helicopters had to be refueled four times en route to Afghanistan. The Osprey would have required just one or two refuelings and it could have performed the mission twice as fast, Schoomaker noted. This speed advantage would make the V-22 considerably less vulnerable to rocket-propelled grenades. Moreover, unlike the CH-53E, the Special Forces CV-22 (and perhaps the Marine Corps MV-22) will employ Defensive Infrared Counter Measures (DIRCM) to defend against shoulder-fired missiles. The problem for the Army and the Marine Corps is that these types of difficult and challenging missions are now the rule, not the exception–and the rule surely will grow more exacting on the U.S. military. The Super Stallions, after all, made the trek to Afghanistan over friendly, non-hostile airspace. But what happens when that’s not the case, as it was not in Iraq? Turkey did not permit the United States to launch an invasion of Iraq from its territory. This denied the U.S. military a northern front in the war, thus permitting thousands of anti-American armed insurgents to escape the Army and Marine forces to their south. These insurgents have since launched a powerful guerilla operation that has bedeviled the U.S military and killed more American troops than were killed during major combat operations last spring. But if that were possible through a more capable heavy-lift aircraft, then the Army would have “great asymmetric capability.” For example, an enemy might know where U.S. airplanes are being staged, but that location could be entirely separate from where American infantry forces are coalescing. Golson said that it is too early to speculate on the performance specifications that the U.S. military wants in a new heavy-lift aircraft. However, it is well known within the industry that the Army requires an aircraft that can transport its 20-ton Future Combat System (FCS), and that the service seeks to extend its heavy-lift range to around 500 km. roundtrip. Cruising speeds in excess of 200 kt. also are desired. ï¿½“The use of heavy-lift rotorcraft to ‘vertically envelop’ the adversary with the FCS force package has shown significant promise in war games and simulation models,” reported the Rand Corp. in a 2003 study. “Planning and funding for vertical aircraft science and technology investment, infrastructure, research and development, and procurement do not adequately reflect the warfighters’ reliance on these important assets.” Task force recommendations, he wrote, will affect the Fiscal 2005 and 2006 budgets. The task force is focusing on vertical heavy-lift aircraft because that is the U.S. military’s most pressing, unfulfilled aviation requirement, task force members said. The Army’s only cargo helicopter, the CH-47 Chinook, has performed well in Iraq and Afghanistan and thus been utilized for troop assault missions as well as logistical supply efforts. 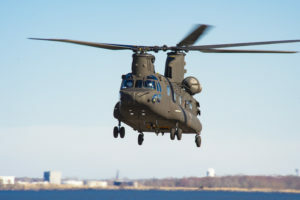 However, the Chinook’s performance underscores the increasing importance of vertical heavy-lift aircraft to the U.S. military, analysts said. 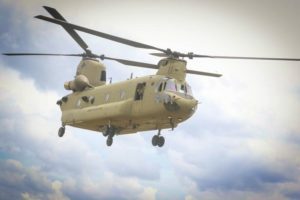 “I think that among the Army aviation modernization requirements, the need for modernizing heavy lift is probably more pressing than the need for new attack or utility helicopters,” said Loren Thompson, an analyst for the Lexington Institute in Arlington, Virginia. “Given the threats that we face, the Apache is more than adequate and the Black Hawk is doing fine. Where we have a problem is in an increasingly decrepit cargo helicopter that can’t really do the type of logistical support that rapid deployment requires. It’s getting a little worrisome,” Thompson said. The Pentagon’s director of transformation, Vice Adm. Arthur K. Cebrowski (Ret. ), has dubbed the military’s requirement for more capable rotary-wing aircraft an “area of potential regret.” These are areas that are “not funded at the kind of level that is likely to produce a result which is consistent with the actual available technology,” Cebrowski said in a recent speech. “We’re moving to the non-continuous battle space, which is profoundly enabled by advances in information technology. Those advances will come to naught if there are not corresponding advances in battlefield mobility, particularly vertical mobility.” Heavy-lift capability also is essential to supporting operational maneuverability, Cebrowski noted. Yet, NASA closed down its National Full-Scale Aerodynamics Complex in May because of a lack of funding. 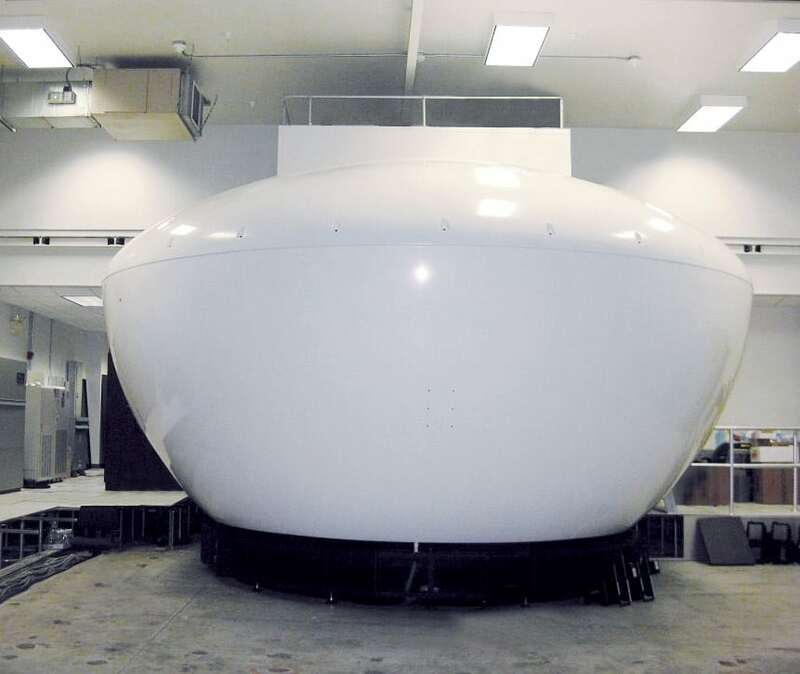 The Ames Research Center in Sunnyvale, California, houses two full-scale wind tunnels–40x80 ft. and 80x100 ft., respectively–that are instrumental to developing new rotorcraft technologies, industry officials said. Moreover, NASA zeroed out rotorcraft research funding in Fiscal ‘02 and ‘03. Some of that money was later restored, and the agency has since agreed to fund aeronautics research with at least $15 million annually. 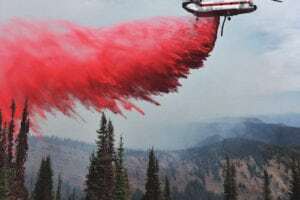 But $15 million represents just 25—30 percent of what this funding stream used to be, said Rhett Flater, executive director of the American Helicopter Society International in Alexandria, Virginia. Funding is especially important now because seed money spent today will go a long way toward identifying what is technologically feasible and cost-efficient, industry officials said. Boeing manufacturers the Chinook and is co-producing the Osprey with Bell. The company insists, though, that it is not wedded to any particular aircraft type or technology, but instead is investing in basic modeling and simulation research to illustrate the tradeoffs involved in any potential solution. “Every configuration has pros and cons, whether it’s cost, speed, or lift efficiency,” Carmona said. However, he added, these are technologically exciting times. “We can do things with rotor blades that were unthinkable 10 years ago. We have fuel-efficient engines that can reduce fuel consumption by 35 percent and still extend the aircraft’s range. We’ve made great advances in transmission design. Our manufacturing processes are better. We now use smarter, composite materials,” Carmona said. Sikorsky officials agreed that if the financial commitment is there, great technological progress can be made; however, they’re skeptical about whether enhanced vertical lift capability is a true Pentagon priority. “Even within the rotorcraft world, there are a lot of bills to pay,” cautioned Kit McKeon, Sikorsky’s director of Army business development. McKeon said Sikorsky has a number of new technologies that it could develop to address the military’s need for a more capable heavy-lift aircraft, but he declined to identify these technologies because they are proprietary. Sikorsky has publicly proposed a coaxial-design, three-engine helicopter that could lift upwards of 25 tons. This aircraft would not provide the dramatic increases in speed and range promised by the Bell quad tilt-rotor. Nor would it match that aircraft’s promise of vast internal cabin space for heavy-lift transport. Cargo instead would have to be transported by hook beneath the aircraft. 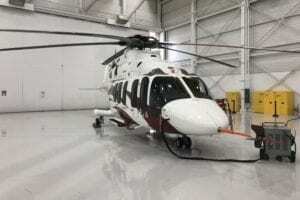 Sikorsky’s coaxial-design heavy-lift helicopter, though, would cost substantially less than the quad tilt-rotor–an estimated $50 million a copy versus $100 million a copy, respectively, industry analysts said. The problem is that the joint U.S. military doesn’t really know what it wants in the way of a future heavy-lift aircraft, when exactly it wants it and at what cost. But without leadership from the Pentagon, the various services go their separate ways. The Marine Corps, for instance, has committed to a remanufacture of the CH-53E. The new CH-53X should be flying in 2012 and the Marines expect to take delivery of the last such helicopter in 2022, said Maj. David Dowling, the Corps’s CH-53X requirements officer. 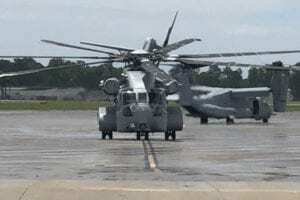 “The horrible truth is that CH-53X funding ramps up right around the time that CH-47 funding ramps down,” Aboulafia said. The Army is scheduled to take delivery of its last new F-model Chinook in 2018. The aircraft then has a useful service life of at least 20 years. The CH-53X and CH-47F would give the services significant improvements in range and payload. However, they are still old airframes that do not provide the technological leap-ahead capability that is necessary for 21st century conflicts, analysts said. Indeed, neither the CH-53X and CH-47F can ferry the Army’s Future Combat System, which is scheduled to enter service in 2012. The Office of the Secretary of Defense “needs to knock heads together between the Army and Marine Corps for integrated requirements and give this mission the priority it deserves,” Thompson said. “Our weapon systems are becoming more and more precise, but our logistical capabilities aren’t keeping pace” with these improvements.